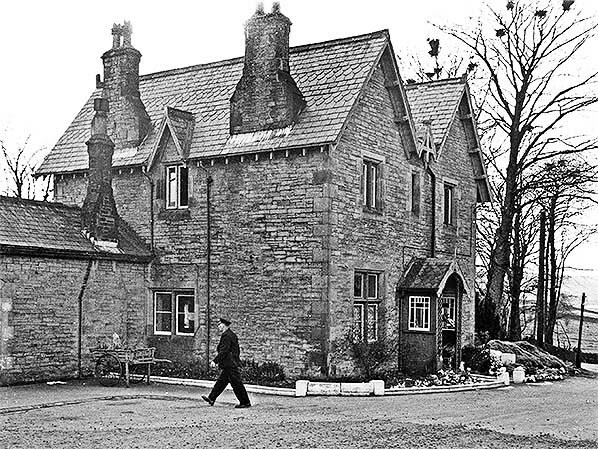 Middleton-in-Teesdale stationmaster's house in June 1961; presumably the stationmaster, Mr E W Archer, is walking across the forecourt. The building to the left of the house is a remnant of the 1868 open-fronted waiting shed. 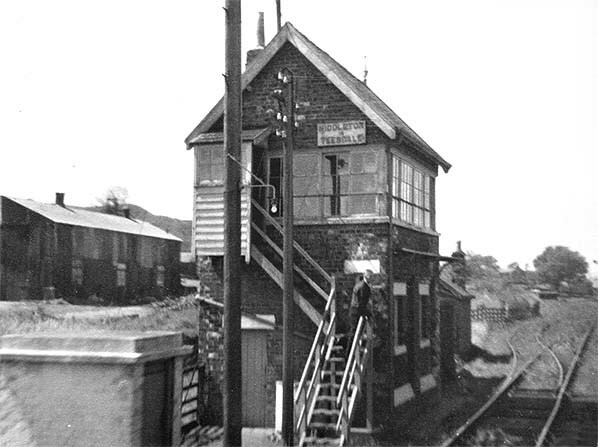 When the new station was built in 1888/89 part of the original shed was retained and used as the stationmaster's office. 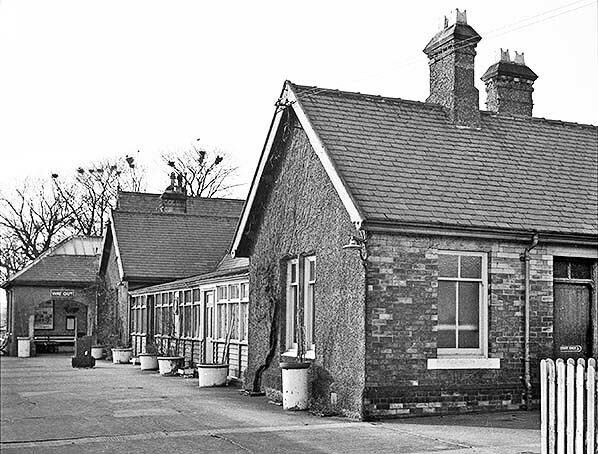 It was later incorporated into the new booking office built c1895 and provided a dry route from the house to all the other station buildings. Compare with the 1880s picture. 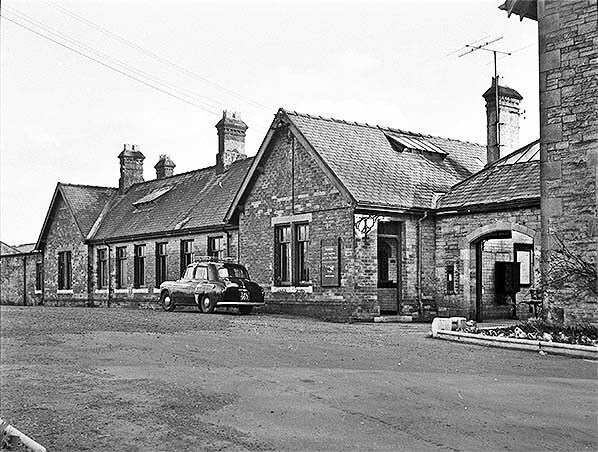 Middleton-in-Teesdale station building in June 1961. The 'way out' is indicated through the arch on the left; this takes passengers thorough the booking hall. The porters’ room is seen on the right; this doubled as a lamp and boiler room. 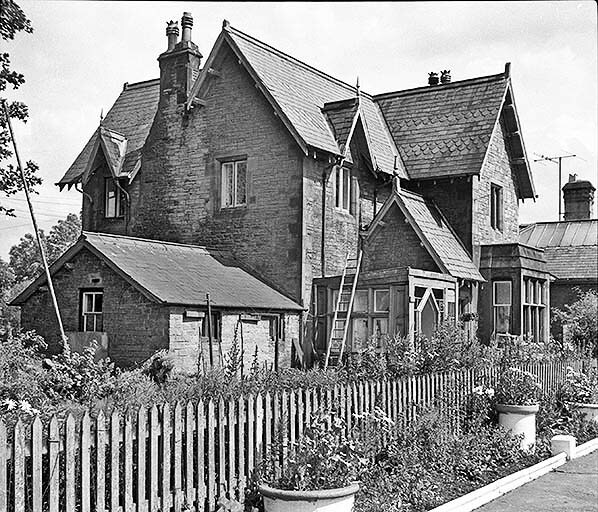 The platform side of the stationmaster's house in June 1961. The crenellations above the entrance porch have been removed. Rooms on the lower floor were living room, sitting room and kitchen. The single-storey block on the left housed a store room, pantry and toilet. 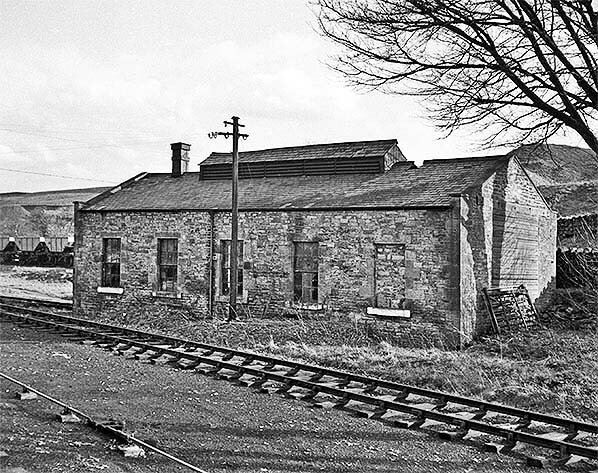 The redundant engine shed at Middleton-in-Teesdale in June 1961, a few weeks before it was demolished. 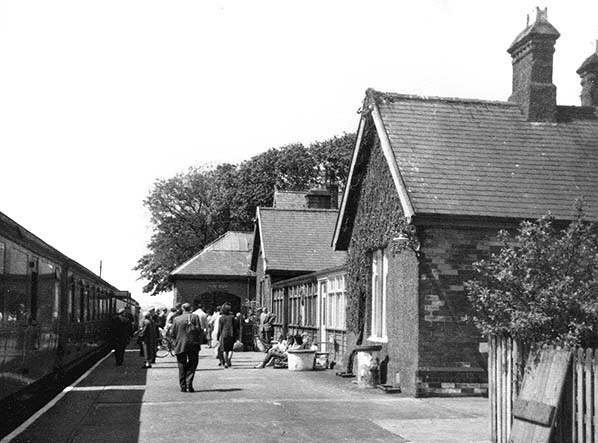 The shed closed on 16 September 1957 when steam traction on the branch was replaced by DMUs. 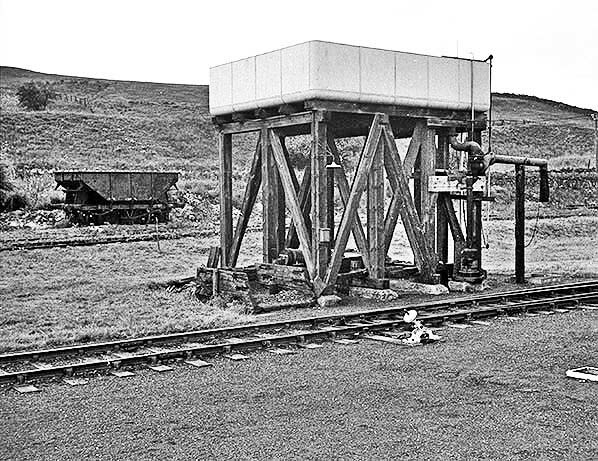 The second water tank at Middleton-in-Teesdale in June 1961. The 10,000 gallon tank replaced an earlier 6,000 gallon tank c1895. This tank was taken out of use in September 1957 when steam traction on the branch was replaced by DMUs. A mineral wagon is seen to the rear. 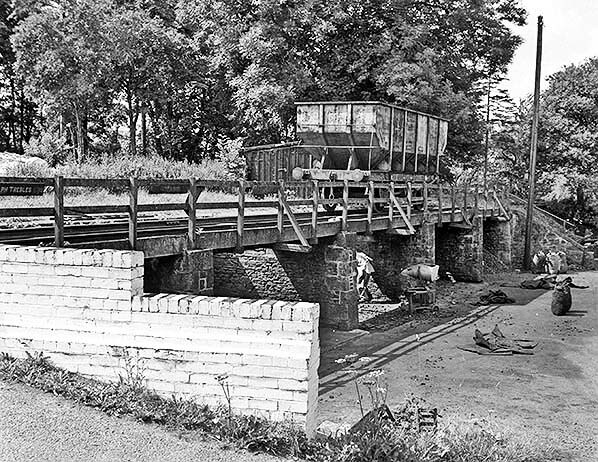 Middleton-in-Teesdale coal drops in June 1961; the drops were located behind the loading dock with a separate entrance adjacent to the main station entrance. 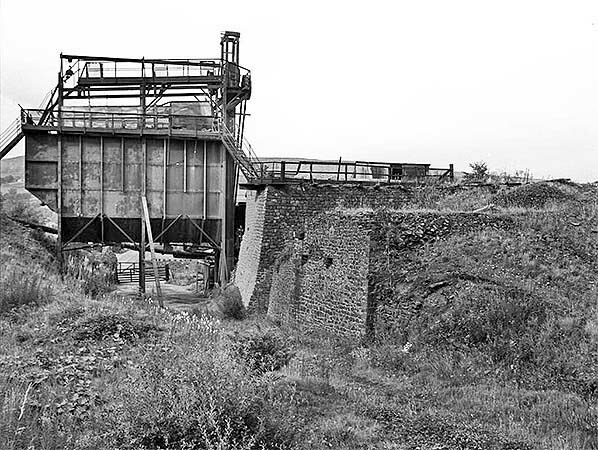 The Middleton Coal Depot Ltd still operates from the site. 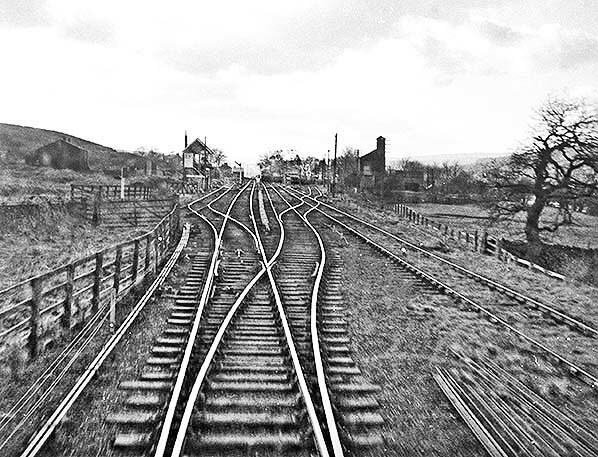 Looking north-west towards Middleton-in-Teesdale station from the rear cab of a departing DMU in June 1961. In the middle distance Middleton signal box is seen on the left; in front of the box a gate is closed at the entrance to one of the Middleton Quarry private sidings. One of the rail-served sheds is seen on the left. On the right the redundant tarmacadam works is seen; this was served by another private siding. In the distance it is just possible to make out the station and goods yard buildings. A ramblers' excursion from Newcastle and Durham at Middleton-in-Teesdale station on 17 June 1962. The car nearest the camera is a Metro-Cammell but the next three are from a 4-car Birmingham RC&W unit. One of the BRC&W Driving Motor cars has been removed from the set for some reason and temporarily replaced by the Metro-Cammell car. There is another 2-car unit coupled to the far end of the train. The headcode ‘A’ indicates a fast train running on the main line for the greater part of its journey . The tower of the tarmacadam works is seen to the rear of the station. Middleton-in-Teesdale signal box in March 1963. One of the rail-served quarry sheds is seen on the left. The engine shed, which would have been visible in the background, was demolished the previous year. 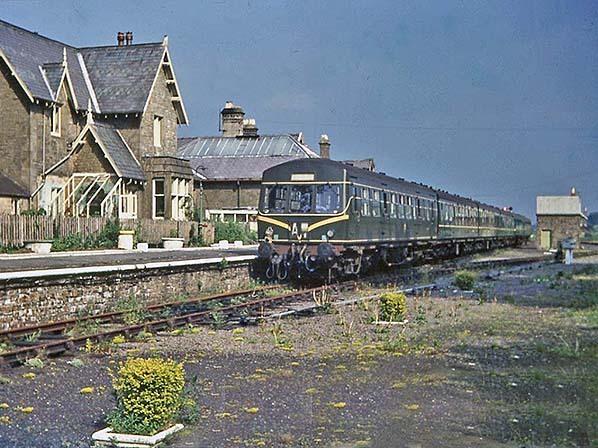 An excursion is seen at Middleton-in-Teesdale Station looking north-north-west in March 1963.